Cathryn is an artist based out of Atlanta, Georgia with a Bachelor’s Degree in Fine Arts and a concentration in Graphic Design. She has experience with various printmaking techniques, painting, and installations. Common visual themes represented throughout her work are stylized natural objects; manipulated through unique color schemes and challenged perspectives. Hues of bright pinks and blues bring vibrancy to the realistically-rendered subjects. She is doing what she has been passionate about since she was young; just with more coffee and shorter deadlines! 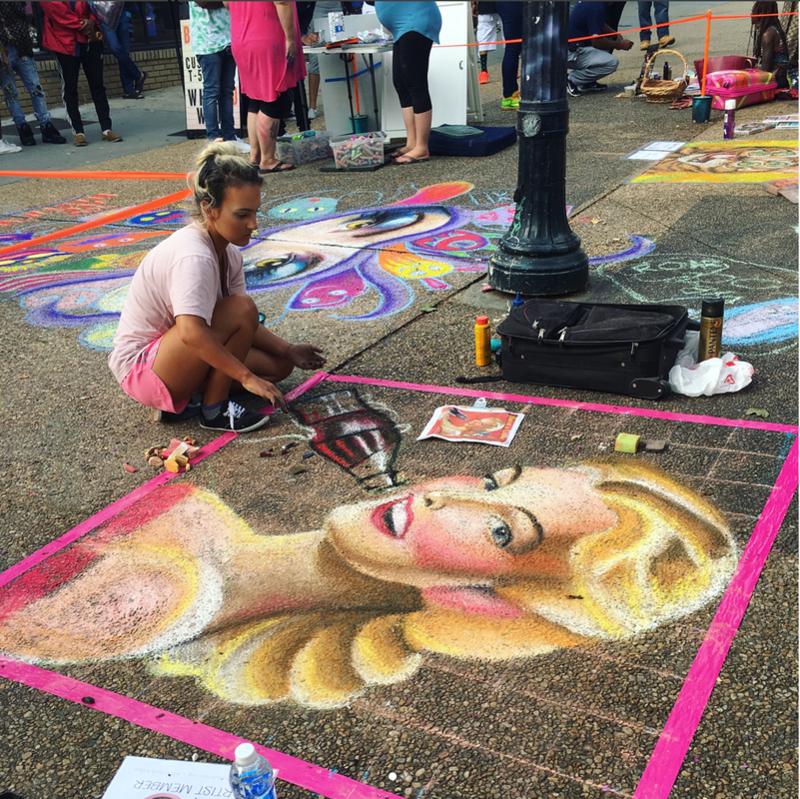 My favorite thing about Chalktoberfest is that it shows the talent and art that my hometown can bring. Atlanta has such an awesome art community and I am proud of Chalktoberfest for showing it off.